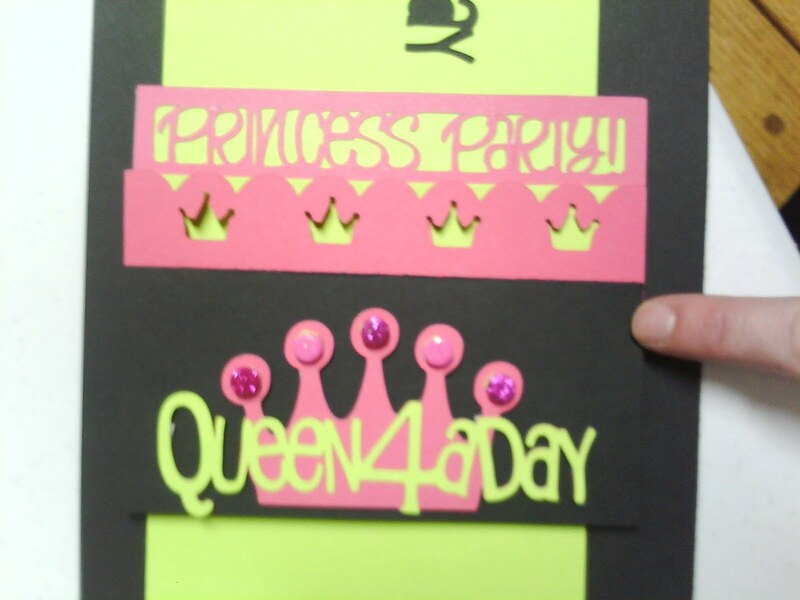 This card was made from the Once Upon a Princess Cartridge. It is perfect for all of the Little Princesses in your life! 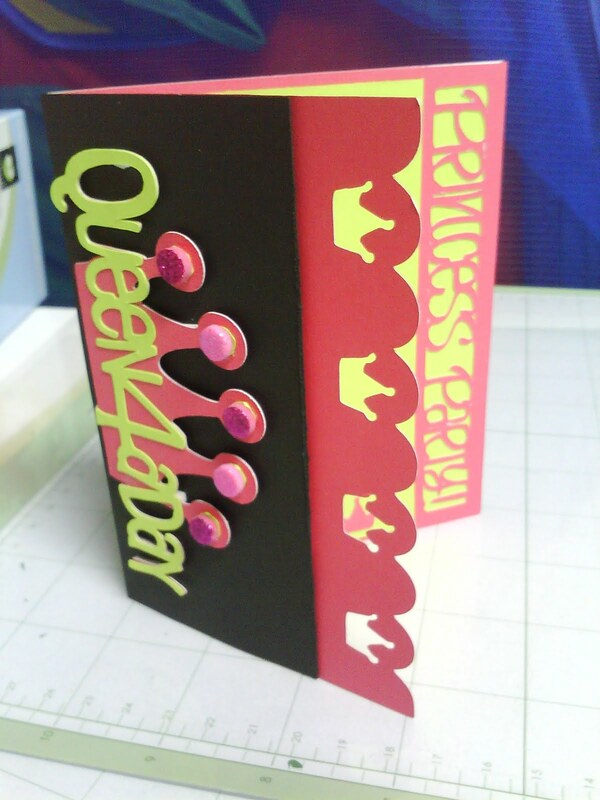 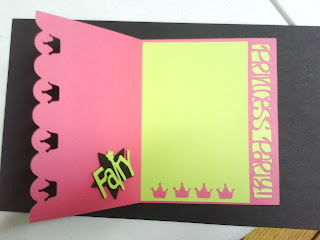 I lined the back of the card with a lime green paper sized to fit behind the phrase Princess Party. 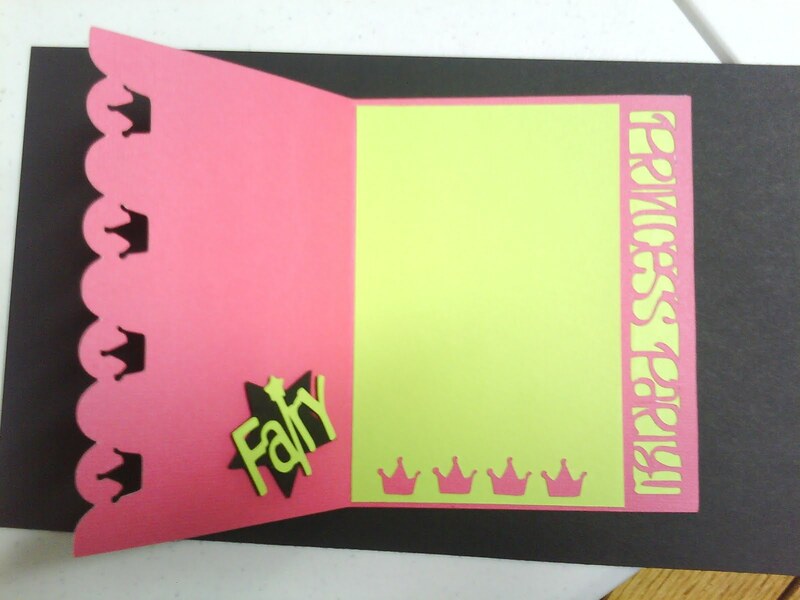 I also lined the inside with the same lime green card stock. I also used glitter 3-D stickers on the crown for dimension.